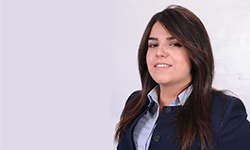 Dina received her Bachelor of Science in 2009 from Ain Shams University – Faculty of Engineering. Joining the firm in 2014, she plays an important role in advising clients with the acceptable forms of claims to be patentable. Dina also handles the preparation work for patent application filings and prosecution.